These fresh mosses are still alive. To ensure the proper shelf life Refrigerate at once. These should be kept moist. Avoid lights because they tend to fade the moss. If color starts to fade simply spray with a moss dye to bring back the natural beauty of the moss. Because these are living plants they will not keep indefinitely. 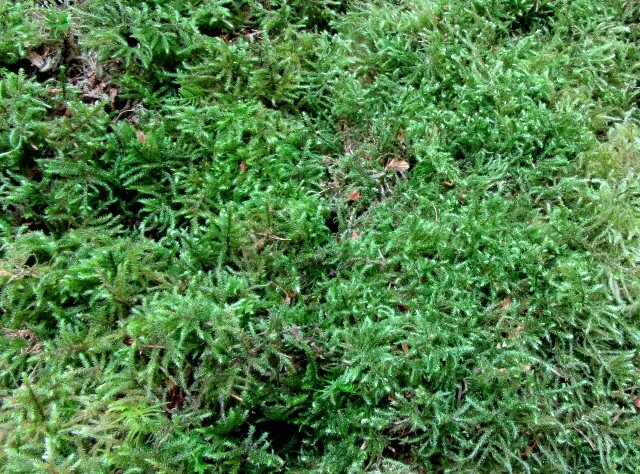 If the moss is properly handled it has a shelf like of 2 to 4 weeks after which it may be laid out to dry. Many Florist are able to keep the Fresh Moss alive for a very long time by putting it into potted plants and keeping well watered. Excluding Elk Horn Moss, There is another way in which to keep your fresh mosses longer. Take your moss and dry it with a fan and a heater in a dark room to prevent fading, and then put them in a dry box in a dark room, this will allow you to keep your moss for a longer time. Then when the time comes and you need some Fresh Moss, merely take what you need to use and spray it with water. If you would like your moss to stay green for a long time in the open, spray with a moss dye. If you need to keep your mossy branches for an extended period of time simply air dry and place in a dark room to prevent fading. Our assorted lichens will keep for many months. Lichen is shipped in a dry state. If you prefer to work with softer more pliable lichen, merely moisten your lichen before use. These are shipped dry and should be kept dry. These will absorb water so avoid direct contact with water, and areas with high humidity. To prevent tree conks from becoming infested with a worm add a moth ball to your conks. If the tree conks become infested with a worm or other creature simply Microwave for a couple of minutes or spray with an insecticide to kill the visitor. These mosses have been dried and will retain their color for several months. Store moss in a cool dry area out of direct light. Avoid neon lights as they will tend to fade the moss. If storing for an extended period of time be sure to check the moss regularly to avoid mold or color fading. . Upon arrival mist with water and place the fresh foliage in a bucket of water and cut the stems under water. These should be refrigerated. Do not keep near direct heat as it will speed up dehydration of the plant. Upon arrival spray down with water, these long pliable roots are shipped fresh and need to be kept moist to keep pliability. Once in an arrangement such as: wreaths, birds nest, handles for baskets or around log furniture, the roots dry hard. Although we sell the moss for decorative use, there are many who have been very successful in growing moss in their yards, planters and terrariums. Moss is very hardy and it requires only a small amount of water, yet stays green all year long once it takes root in your shaded area. This is what others have said about growing the moss...It can be grown as a lawn, without fertilizers, pesticides, clipping, mowing or mulching. It is very low maintenance and very beautiful once it has taken root in your garden. You can grow in any zone of America. Water to get them established. It is the ultimate low maintenance plant! Why because they get all of their nutrients and moisture through their leaves making them simple, durable, as well as sustainable, drought tolerant and cold tolerant. In fact, collectively mosses provide more carbon offset than all the trees in the world put together. They are perfect for todays more sustainable landscapes. During times of drought it can go into dormancy when rains return they come out of dormancy. If you mist with water frequently for the first 4 months most shaded area can be covered in 1 to 2 years. How to grow? Clear the soil area of leaves and debris. Scratch the soil a little bit so you get contact with the moss. Tuck them into the soil. Horizontal running mosses like feather and shag break in smaller pieces and space them out in the soil so that they will grow and cover the area that you want your moss. Shag and feather take 3 to 6 months to establish with frequent watering. And for Mood or clump moss it takes 6 months to 1 year to take root. Give them a nice drenching with water and smooth soil around them. Mist with water for 2 or 3 months, daily or every other day, until they are well established. Start small with few feet at a time to see how the moss acts. All that is needed is a little bit of patience and the moss does pretty well on its own. For best results All areas under and around the transplants will need to be tamped down by hand or by walking on them after installation. Make sure soil is tucked around the sides of the moss. 1-3 months Water lightly 3-4 minutes and frequently 2-3 times daily during daylight hours) for Feather also called fern moss and Shag also called sheet moss. 6 months to a year Water lightly 3-4 minutes and frequently 2-3 times daily during daylight hours for Mood also called clump moss to establish moss. 3-12 months to help moss spread - continue watering regimen if you want moss to spread and become thicker. Light to heavy shade for feather and Shag moss and Heavy shade for mood. Ensure good contact with soil especially on edges. Mosses are not particular about the type of soil they grow on in terms of soil composition.The exception would be soils with a high sand content preventing a stable surface; ever-shifting loose sandy soils make attachment difficult, but not impossible. The more important aspect to encouraging mosses to establish is texture and particle size. If you imagine yourself to be less than an inch tall and had to move across the soils surface, you would understand the importance of smoothness. With regards to soil pH, moss will grow in most pH conditions. Preparing really smooth soil speeds up attachment and encourages faster attaching. Be aware of any water run-off paths that you may create or that already exist. Mosses are great soil stabilizers and will filter water run off, but first they need to be established to withstand flowing water. If you have these areas, prefilter run off from sediment and debris that may deposit onto newly installed areas. One way to do this is by placing stones and gravel as a barrier upstream or temporarily diverting the run-off. Mosses laid in the path of run-off can be pinned or netted in place until established.